Within Teamwork Projects, you can enable Box.com integration on individual projects on your site, once you have it enabled in your site settings. Your files in your Box.com account will be available to link into the files area, or to attach to a task or a message in the project. You can choose a different folder from your Box.com account to connect to each of your projects. Note: Only site administrators in the owner company can enable Box.com at project level. 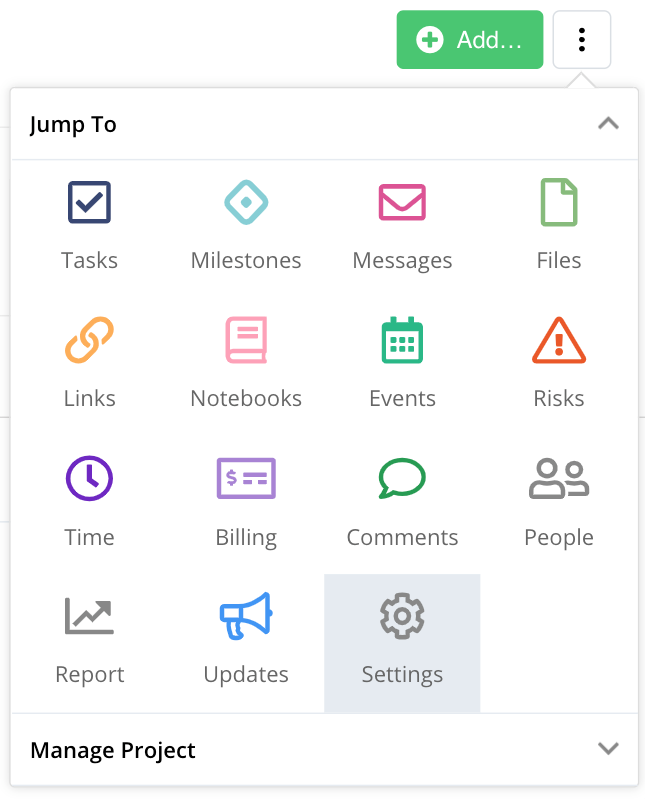 To set Box.com up on a project, go to the project settings by clicking the options button (three dots) on the far right of the project's Overview tab. Alternatively, click Settings in the horizontal menu bar at the top. Select the Integrations tab within the Settings area. Once enabled, you will be given some additional options. Choose the Box.com account you wish to use. Set who has permission to browse folders within the Box.com account under the "Who can browse?" area. You can add files from your Box.com account directly to the Files tab of a project by clicking Add from Box. You will be able to set a file category and privacy before uploading the file. Note: Files added using the Box.com integration will include the integration below the file name. 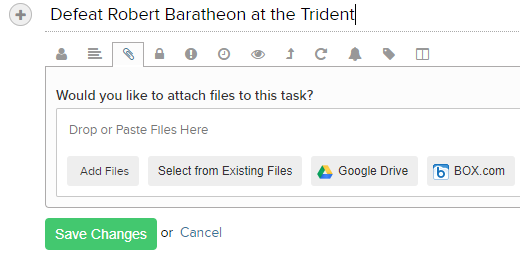 You can also upload files from Box.com directly to a task on the project. If the file is already existing in the project's Files tab, you can use the Select from Existing Files option to attach it to the task. To upload a new file, click the Box.com button to browse the available files in the Box.com account. Note: Files linked to your site from your Box.com account do not count towards your Teamwork Projects file storage limit.